This ACE location is situated in a shopping plaza at the corner of Elkhorn Blvd and Walegra Rd. The Sacramento Regional Transit bus line #80 has a stop at this location at Elhorn Blvd & Butterball Way (WB). Check their website for more information. This location neighbors 99 Cent Only Stores, Arby’s, Subway, Del Taco, and Metro PCS. Auto Title Loans Powered by LoanMart are Available in Foothill Farms! For whatever reason residents in Foothill Farms need quick and affordable funding, auto title loans powered by LoanMart may be that solution. 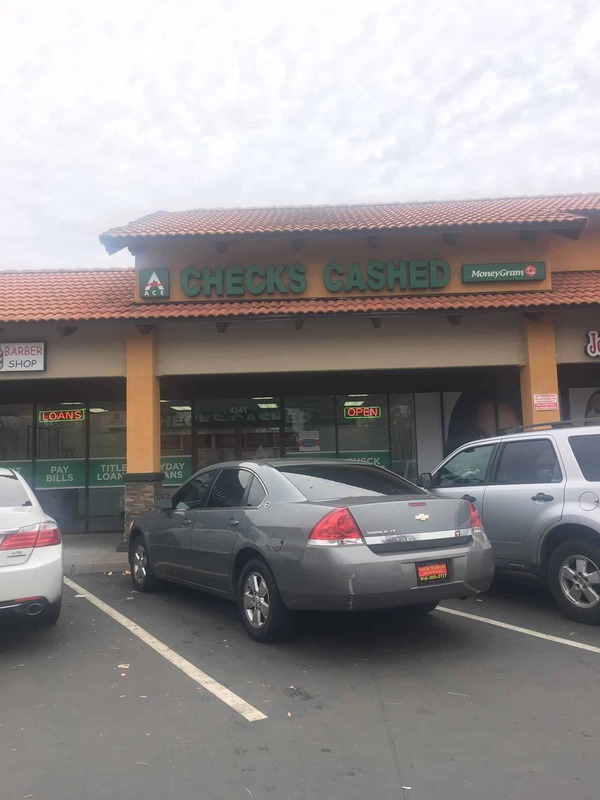 By securing an auto title loan powered by LoanMart in Foothill Farms, they may use one’s qualifying vehicle’s free-and-clear title to secure the funding they may need. A resident may even be eligible to borrow up to $30,0001 in as little as one business day3. Applying for an auto title loan powered by LoanMart is free and there is no obligation, even if one does qualify. No penalties for early payment5. You may receive your funds in as little as one business day if you qualify3. The freedom with an auto title loan powered by LoanMart comes from residents of Foothill Farms being able to continue using their vehicle while making those payments. Only the physical title to the vehicle is held as collateral, not the vehicle itself. And upon approval, a representative will talk to you about how to obtain a title loan powered by LoanMart and how to get funding!